Joining the Lincoln Cathedral Membership Scheme is an ideal way to support Lincoln Cathedral, and opens up a whole world of exciting benefits for you to enjoy. Membership starts from just £24 per year for an individual membership, which you can choose to pay monthly or annually. Our members join for a wide variety of reasons and are spread across the globe. For some, membership is a way of engaging with the Cathedral’s programme of popular events, for others it’s about feeling an attachment to a building that holds a special place in their heart. For whatever reason you choose to become a member of Lincoln Cathedral, we thank you for your support and look forward to welcoming you to this great Cathedral Church. We have 5 membership options for you to choose from, which means you have the flexibility to select a membership that best suits your situation. You can find out more about the benefits of each membership level below and also set up a donation plan that works for you. 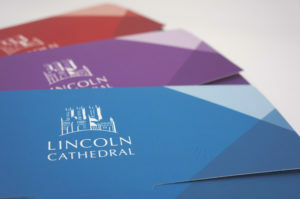 Associate Membership is the Cathedral’s entry level membership and is ideal for those who would like to keep in touch with Lincoln Cathedral and receive an exciting range of benefits. Associate Membership is available as an Individual, Joint or Family package. For more information about Associate Membership, please explore the options below and select the option that is right for you. I wish to donate monthly by card. I wish to donate in full online by card. I wish to set up a standing order by post. Fellow Membership is ideal for those who would like more from their membership of Lincoln Cathedral. Fellow membership comes with an enhanced range of benefits as part of the package. For more information about Fellow Membership, please explore below and select the donation plan that is right for you. Patron Membership is the premium membership at Lincoln Cathedral and is ideal for those who would like to show the highest level of support. Naturally, Paton members enjoy an exclusive range of tailored benefits. For more information about Patron Membership, please explore below and select the donation plan that is right for you.